Make precision adjustments by targeting specific parts of your image with the Selection Brush. Detect edges by selecting based on color, brightness, or a combination of both. Create a mask from your selection. Add lighting, color, detail, or effects-style adjustment layers to your selection. Invert the selection and impact the rest of the image with a different edit. Cut straight to the creative part with this dedicated image adjustment and layered editing software. 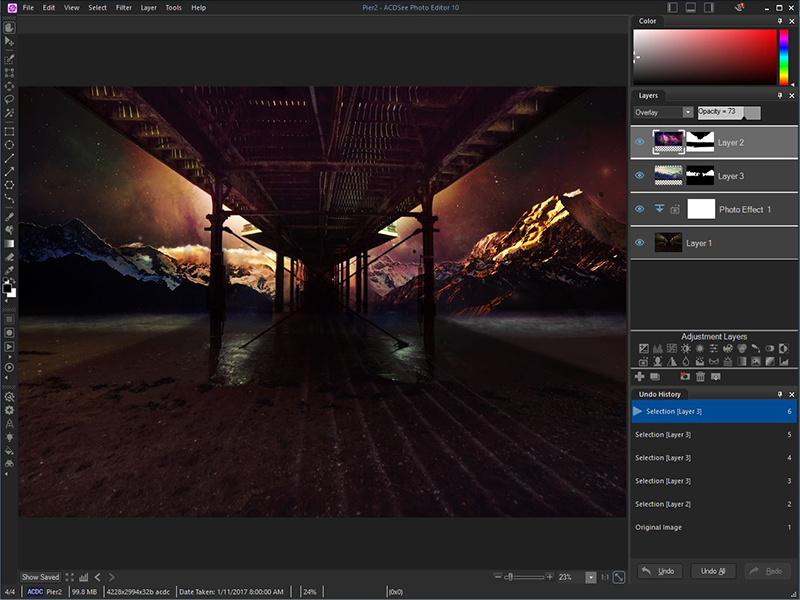 ACDSee Photo Editor 10 boasts the 64-bit power to actualize the original graphics, polished photography, and compelling art imagery you've been envisioning.